Global rock icons and newly announced Rock & Roll Hall of Fame 2018 inductees Bon Jovi is back for his 9th visit to American Airlines Center! 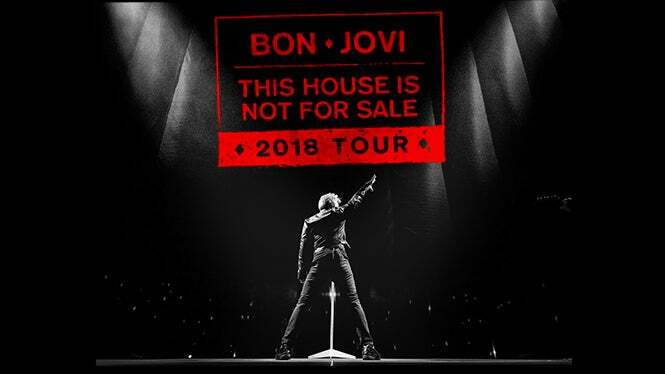 He will bring his This House Is Not For Sale Tour to Dallas on March 26, 2018 with special guest The Contagious! Secure premium tickets to Bon Jovi, complimentary food and beverages, Lexus Garage parking passes and more with the brand new Concert Club at American Airlines Center. Click here for more information. Point and shoot cameras allowed. No professional camera equipment or detachable lenses allowed. No selfie sticks, GoPros, or iPads.